Dean spent most of this afternoon with Tyrone and his mother taking them to see Gavin Bingham (the eye Dr from church) at his rooms. Tyrone was excellently behaved and allowed Gavin to do what was necessary. The upshot of this is that Tyrone should have the necessary corrective surgery within the next 2 - 3 weeks which will be excellent! 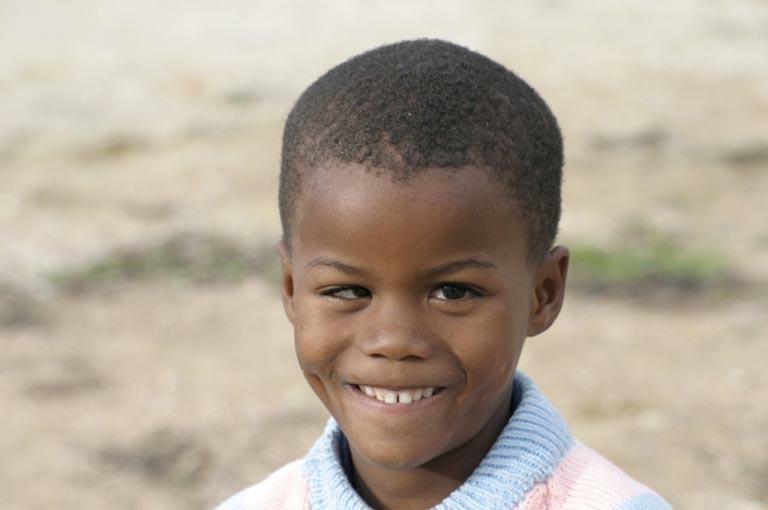 Gavin referred to Tyrone's condition as 'turning a blind eye' as the skewed eye is often blind until it's corrected. This surgery is one of the most rewarding as it's effects are immediate and can be life changing for the patient. Above is a photo of Tyrone, we've posted this one before and we'll post another one of him after the surgery. Unfortunately, on his way into CNP Dean had a knock with a scooter. We'll not apportion blame but Dean didn't see the guy, however no major injuries were sustained and the scooter was ridden home. Needless to say Dean feels gutted about the whole incident. Paula had her second Afrikaans lesson today, which left her head spinning! This 'oh it's so easy' language is getting bigger and bigger by the lesson!! It has been very interesting however, to realise just how many words Joel is speaking without us knowing. He should definitely be teaching us. I shall just have to accept what he says from now on and refrain from correcting his odd words into the closest English ones! Below is a photo of Tim on his travels around South Africa, Zimbabwe and Botswana. Tim's been travelling after completing his time with us as part of the FYP team. Tim spent time 'Walking With Lions' at the Antelope Park in Gweru, Zimbabwe as well as many other great adventure, to see more, go to Tim's Blog. The Antelope Park in Gweru (Zim) is the only place where you can genuinely walk with lions. 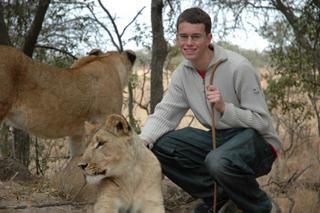 We went in 2002 whilst we were in Zim and had an amazing time walking with the lions and playing with the cubs. 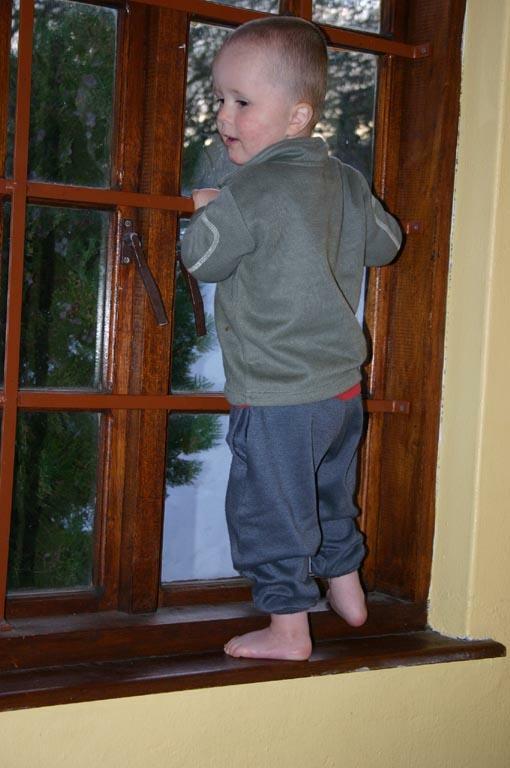 We thought we'd also post a piccy of Joel impersonating a monkey by using the burglar bars on the window to climb! This appears to be his favourite post dinner activity whilst watching Bob The Builder!